Our quarry located in Banbridge, on the Dromore Road produces a number of different types of high quality aggregates with a high PSV of 65. The quarry is certified to ISO 9001 to ensure quality is consistent and all products are CE marked. 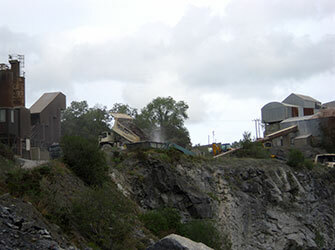 Tullyraine Quarries Ltd was established in 1954. We are a third generation family run quarrying and civil engineering contracting company. 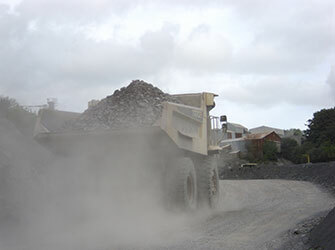 Based at our Banbridge quarry, we extract aggregates for the production of high PSV crushed aggregates. These aggregates are then sold locally and exported for the purposes of fill and production of secondary processed materials such as concrete. We also produce bituminous materials from two batching plants, which are available to both public and private sector clients in addition to the company’s own civil engineering production and waste disposal practices. 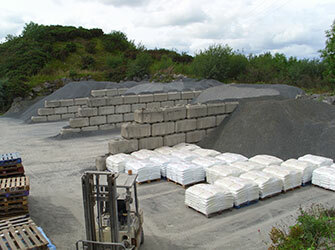 Other types of aggregates are available on request and we also produce a range of recycled stone materials. Looking for high-quality aggregates supplies at an affordable price? Tullyraine Quarries Ltd, registered as a limited company in Northern Ireland under company number: NI04047.